I owe a huge thanks to my wife and kids who have never quite understood my fascination with the martial arts. Thank you to everyone in my life, past, present and future, for your support in my passionate pursuit of a dream come true! As always, I will still continue in providing quality martial arts instruction to children and personal defense to adults as much as my time on earth allows. Right now there is just one additional member to the APD team. Will you be next? John has been training with APD since 2015. His background in traditional martial arts and thirst for new knowledge was recognized early when he started cross training. 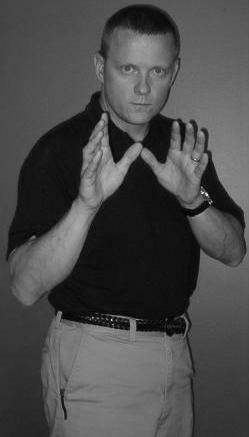 Now with his added Combative self defense, John's philosophy, analytical skills and attention to detail comes through in every class you will take. Be prepared for moments of revelation.